Description Italian luxury is at your fingertips and trust us it\'s incredibly soft! 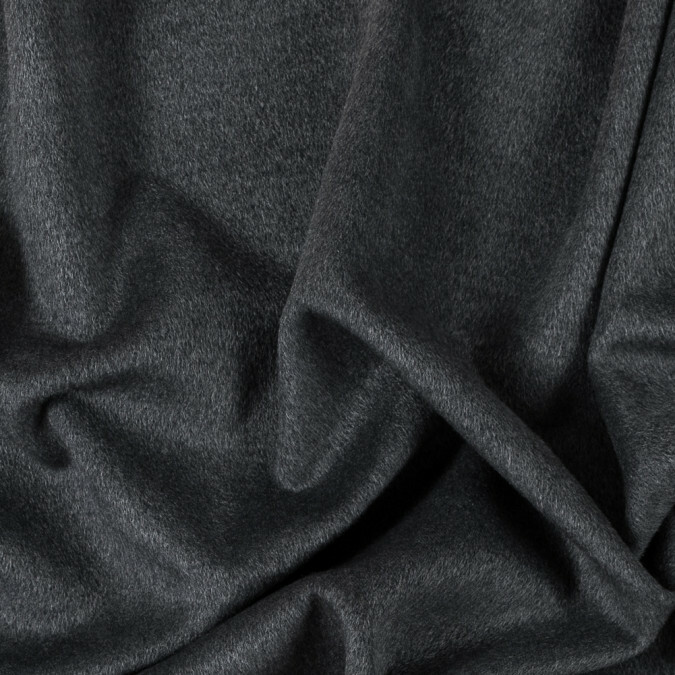 Don\'t miss out on this Italian Antracite Faux Brushed Wool Coating. Add a subtle texture to your piece and get lost in its amazingly fuzzy hand. Thin and lightweight it has a lucid drape that may be cinched or left to flow within designs. Create everything from long coats to cropped jackets that showcase impeccable style. Opaque its backing has a smooth hand allowing a lining to be optional. Note that this woven is not produced from Wool but closely resembles one.